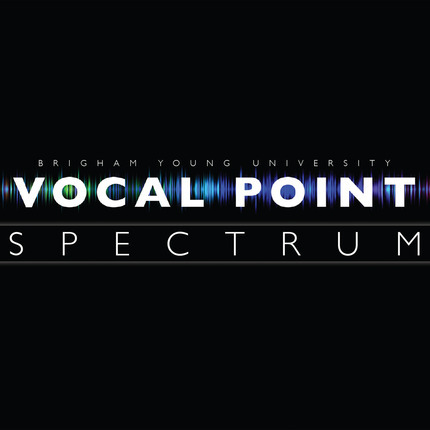 Vocal Point is Brigham Young University's world-renowned, nine-man contemporary a cappella group whose music been described to by some as "an optical illusion for your ears." Founded in 1991, Vocal Point's inventive style, innovative arrangements, and incredible vocal percussion continue to wow audiences everywhere. They have performed before millions of fans on national television (on NBC's The Sing-Off) and in concerts across the country, as well as for millions on their newly established YouTube channel (youtube.com/vocalpointbyu). 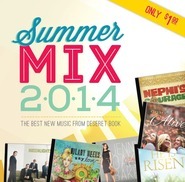 Following up their best-selling album of hymns and inspirational songs, Lead Thou Me On, this new CD, Spectrum, showcases the group's signature take on popular songs from yesterday and today—including Sara Bareilles's "Brave" (A snippet of their YouTube cover of "Brave" was featured at the 2014 Grammy Awards.). Watch YouTube music video of "Brave"
Watch YouTube music video of "Happy"
The dictionary defines spectrum as "an array of entities, such as light waves or sound particles, produced by the dispersion of radiant energy." Using this imagery as our inspiration, we are proud to share this eclectic collection of musical genres ranging from classical to pop, from Broadway to rock. In addition to showcasing a wide scope of musical styles, we wanted to complement the unique talents of Vocal Point by using a spectrum of colors and energies available with today's digital-recording advancements. You will not only recognize the pure warmth of genuine a cappella, but Spectrum will introduce you to some great new sound colors that add sparkle and dynamic range to that recognizable Vocal Point groove. Special thanks to the administration of the BYU School of Music for their support of what we do, to Ben Fales for his genuine concern for the success of our group, to Ed Boyer for his patience and musical genius, to all the men who have joined the Vocal Point family over our history, and to everyone who has helped make this album a reality. 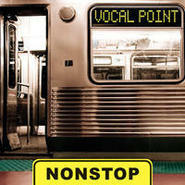 I sincerely hope you find this Vocal Point musical experience a pure Spectrum of enjoyment. This album is the kind you can listen to from start to finish again and again. Several the arrangements of popular songs are as good as or better than the originals, and the lead vocals from this year's group are unparalleled. I've listened to many an acapella cd, from Insideout to Eclipse to older Vocal Point albums, and this one takes the cake for being consistently on key, powerfully arranged, and just plain fun. I like it but not as much as I thought I would. I bought this CD for the Newsies medley which is okay and the songs Just the way you are tonight and the Frankie Valli Medley. I really like these. My kids love the songs Brave and Happy but they're starting to drive me crazy. 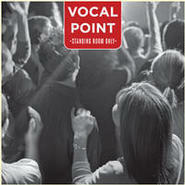 I am enjoying the CD but some of the other Vocal Point ones are better. I'd really like a CD with all their songs from the Sing Off on it! This CD will have you singing along, dancing along, and partying along to the amazing acappella renditions of these popular hits. The CD is currently on repeat!